Here’s how to find great roofers in Southern Maryland. Because, when it comes to your roof, you want to find a reliable team you can trust with the job. An old or leaky roof that needs to be replaced can be stressful because you need to be sure the repairs are done right, the first time. Having your roof repaired or replaced is important to ensure safety and prevent unnecessary damage. And, there are a lot of other things to consider when trying to find a contractor to work on your home. But, how do you know where to start? The first thing on your agenda is to perform some research, which is why you’re here! Good start. But there are still a few things you should know before deciding on the best roofer. If you’re looking for roofers in Southern Maryland then you’ve come to the right place. In this article, we’re discussing some tips for finding the best roofer for your situation. Keep reading to learn more. You’ve already started on your quest to find the best roofer in your area by looking at these tips, but don’t forget to utilize your resources. Use the internet to search out testimonials, previously completed projects, and referrals for roofers in Southern Maryland. You can find online forums and other websites that provide in-depth information about the roofers you’re considering. Search the ‘About‘ pages of those roofers’ websites to learn more about their missions and values. Look for roofers in Southern Maryland that also provide other services for other home repairs you might have, now or later. Whatever you need to know about a potential contractor can be found online. Don’t forget to make sure the roofer is licensed in your area. Look for roofers in Southern Maryland that are close in proximity to your home. Well established businesses in your community provide better guarantees. And, you’ll have peace of mind that they’ll still be there in five years if something goes wrong. A local contractor will also have a better grasp on how your local weather affects your roof. They can fix your roof with these details in mind to ensure it will withstand the elements for years to come. They can also provide estimates based on trends and data in your neighborhood. Before choosing roofers in Southern Maryland, you need to be sure that they carry insurance. This should include worker’s compensation and liability insurance in case of an accident while performing work on your home. And, don’t just ask to see the insurance certification, but also call the insurance company to verify the coverage. Once you feel comfortable with the roofer, you’ll feel more confident in your decision. If you’re approached by a roofing company, it’s not a good sign. Reputable roofers in Southern Maryland perform outstanding work and get more work based on referrals. They don’t come to your door telling you what’s wrong with your roof so that they can earn your business. Beware of any contractors bidding for your business without an initial inquiry on your part. Remember, referrals are the best way to find a company that satisfied someone else. Just because a roofing company quotes you lower than all of the others doesn’t mean they’re going to perform the job satisfactorily. Likewise, a company quoting the highest bid isn’t always the best either. The important thing to remember is that price shouldn’t be a deciding factor when choosing a roofing company to install your new roof. When discussing price, however, make sure that everything is included in the quote and ask questions if you feel like there’s anything missing. It’s better to have all of the information up front so you don’t have any surprises later. If you are comparing contractors make sure you costs you compare are for identical materials or service and give weight to those contractors with a superior reputation as you’ll likely get the best overall value. Roofers are busy in the summer, especially, because the weather is right for roofing. It’s important to take their schedules into consideration when contacting them for quotes or with other questions. When you’re searching for roofers in Southern Maryland, the last thing you want to do is get the runaround. Make sure that the contractor you’re considering has good communication skills. If they don’t return your calls or fail to send you information that they promised, they’re probably not going to follow through with their work either. Communication is key to understanding every detail about your project and your contractor should be willing and able. Even if you have a lot of questions, make sure the contractor can answer them clearly and concisely. When you do finally select a roofer, it’s important to ask for a contract for the work to be completed. You shouldn’t have to pay for anything until the work is done except for an initial deposit and that should be defined in your contract. You and your contractor should both sign the contract before the job is started. Of course, it never hurts to ask about the roofer’s experience in your initial meeting. Ask them how many years they’ve been roofing and the combined experience of the staff. More experience will inevitably show in a contractor’s work. And, don’t hesitate to find out what the warranty is on both the work performed and the completed roof. 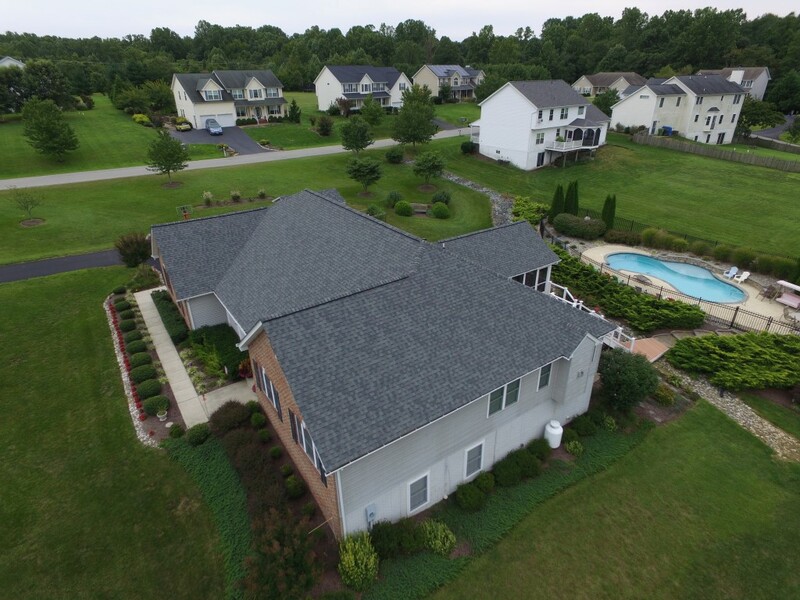 Finding good roofers in Southern Maryland doesn’t have to be overwhelming or stressful. Just follow these tips to get the most out of your relationship with the roofer you choose. Finally, if you are looking for a roofer in Southern Maryland we’d be delighted to give you an estimate. We are happy to announce that we are now able to offer financing for all projects! See our financing options here.